The medical pigmentation delivery system Scalp Tricho Pigmentation (STP) is a new technique for scalp shadowing. Its goal is to improve the wellbeing of men and women with scarce and thin hair growth, while also helping them to be more confident. Hair growth appears thicker and denser. Sparse or even bald spots will effectively be concealed in a lasting manner. STP (also called “temporary SMP”) is performed with colour pigments. They were developed to gradually lose their colour intensity approximately 6-24 months after the treatment. Usually the colour will have disappeared completely after 2 years at most. Therefore, we recommend a colour refreshment within one to two years. STP refrains from using black colour pigments, as they turn blue or green over time. 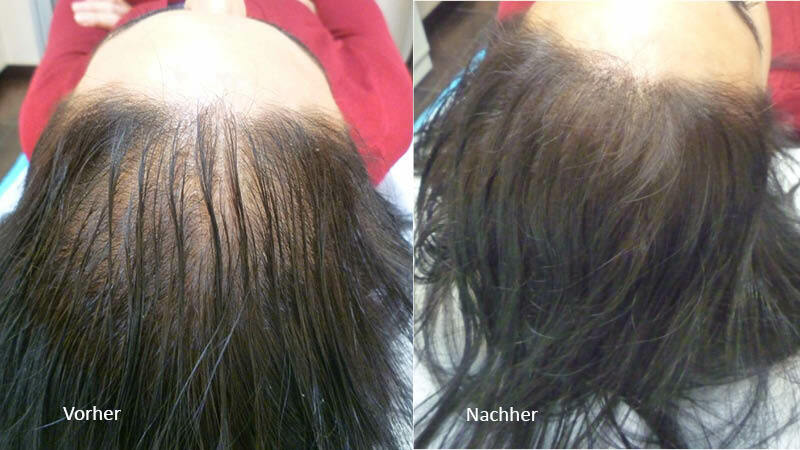 The key advantage of STP is that the pigment is implanted into a superficial layer of the scalp (only 0.05 mm deep). This allows for a particularly fine densification, making it a natural-looking imitation of hair. Blurring of the colour and the individual tattoo points are almost completely eliminated. The final aesthetic look of your hair and the colour result will be attained after the second or third treatment. One can imagine this process as being akin to a filter. Individual steps lead to an increasingly dark appearance of your hair. Due to differences in scalp thickness, the colour does usually not fade away equally. As a result, necessary adjustments of the colour nuances will be made at further treatment sessions. Since it is only possible with STP to achieve perfectly authentic results and be able to adapt one’s hair situation and colour as desired in the future, Moser Medical exclusively offers STP treatments. We as Moser Medical Group exclusively use high-quality organic colour pigments that fulfil highest standards. Just as in the case of every other treatment at our clinic (e.g. hair transplant, PRP therapy), medical know-how, our employees’ skill levels and our hygienic procedures are all a top level. STP is particularly suitable for individuals who are not eligible for help in the form of a hair transplant due to medical conditions. It can be particularly helpful for women, who often do not suffer the consequences of genetic hair loss. 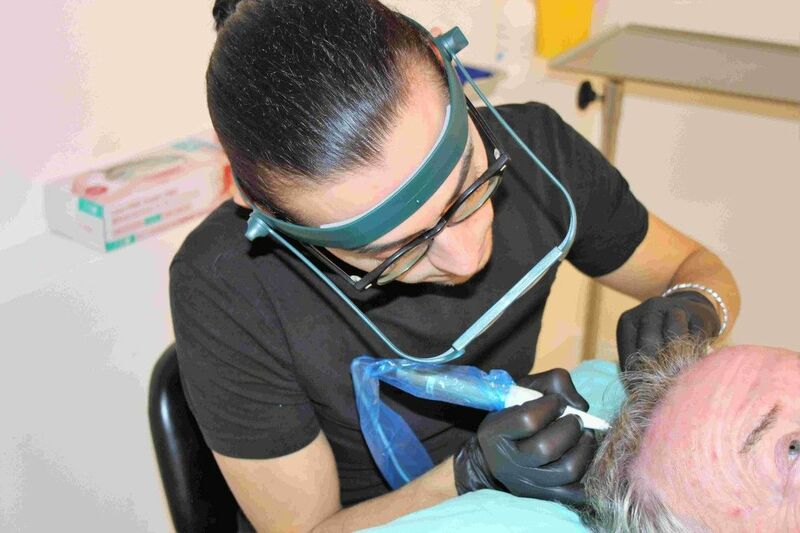 STP can very well be combined with a hair transplant, especially in the case of patients who wish for a dense hair appearance that is unattainable through a hair transplant by itself due to a lack of hair that can be extracted from the fringe of hair. Melden Sie sich am besten gleich heute für eine individuelle Haarberatung zu den Möglichkeiten mit Mikro-Pigmentierung in Ihrer Nähe an. Diese ist an sieben Standorten in ganz Österreich kostenfrei möglich.